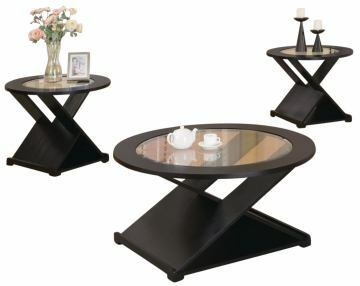 Occasional tables by Coaster Furniture. This set features round tables in an updated "X" style motif with tempered glass top inserts and finished in a rich black. Make a statement in your living room with this collection!